The even distribution of iron throughout the Perseus cluster has allowed astrophysicists to tell the billion-year-old story of how exploding stars and black holes sowed the early cosmos with heavy elements. Researchers from the Kavli Institute for Particle Astrophysics and Cosmology (KIPAC), jointly run by Stanford University and the Department of Energy’s SLAC National Accelerator Laboratory, shed light on this important era by analyzing 84 sets of X-ray telescope observations from the Japanese-US Suzaku satellite. Their results appear in the Oct. 31 issue of the journal Nature. 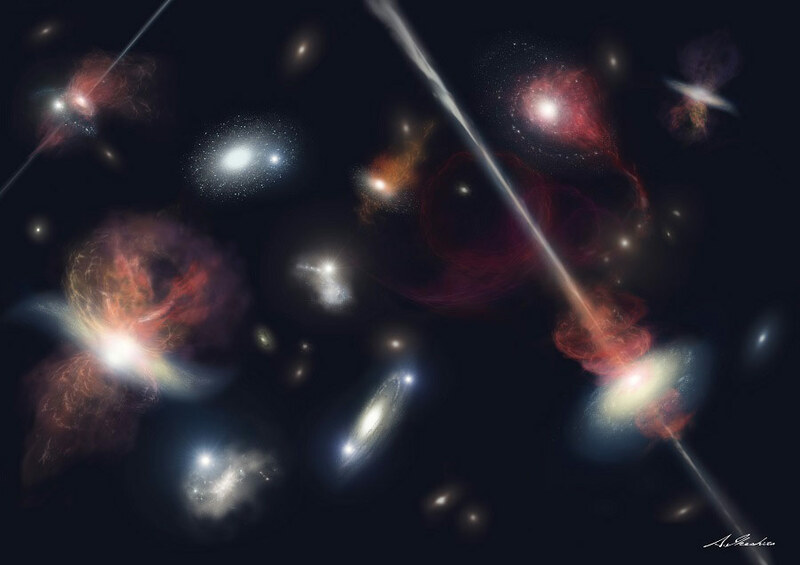 “The combined energy of these cosmic phenomena must have been strong enough to expel most of the metals from the galaxies at early times and to enrich and mix the intergalactic gas,” said co-author and KIPAC graduate student Ondrej Urban. “We think most of the iron came from a single type of supernovae, called Type Ia supernovae,” said former KIPAC member and co-author Aurora Simionescu, who is currently with the Japanese Aerospace Exploration Agency as an International Top Young Fellow. 1 Comment on "Astrophysicists Show How Universe’s Violent Youth Seeded Cosmos with Iron"
Not just iron but every element heavier than helium. Toward the end star production in the Universe, so much “metal” (anything heavier than helium) will have accumulated in stellar nurseries that forming stars will have barely enough hydrogen to initiate fusion.